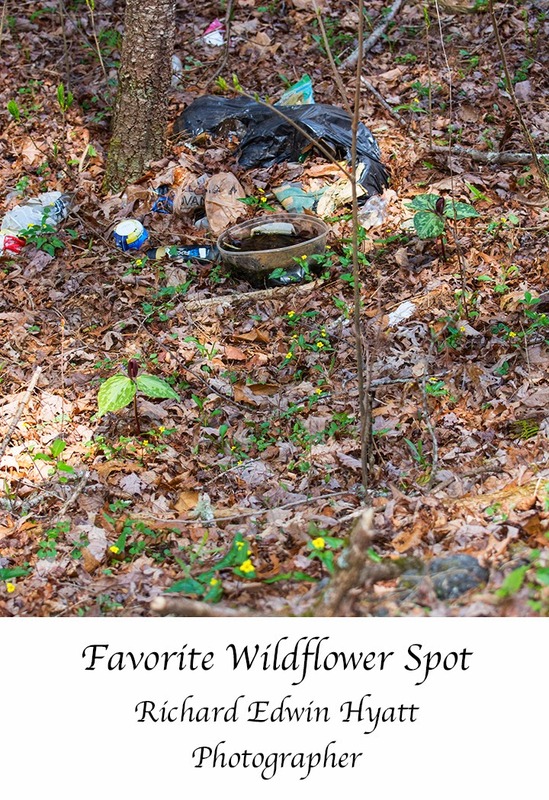 Trillium Traveler: Favorite Wildflower Spot - Trashed! So, I was out to one of my favorite wildflower spots today to bring you a photo. To say the least when I saw this I became instantly angry! Why do people do things like this when there is a refuse collection place 5 miles away! Hardly a day goes by that I don't find similar foolishness on the part of our uneducated human family. In this case, I did what I felt compelled to do, I took a picture then went and got a couple of trash bags and cleaned it up. I took the cans to the recycling center and thew the trash in the dumpster for trash. Every one talks about a better world. It starts right here! Please share this and talk to anyone who needs educated on the matter.